Gratorama is a bingo lover’s alternative destination to the wonderful online world of Scratch Cards. Find the biggest library of Instant Wins with loads of cash prizes. Finally there is a site to satisfy that itch to play Scratch Cards exclusively. This is an exciting new concept for players looking for a site dedicated to the next best thing to bingo; Scratch Cards. Gratorama is beautifully displayed with quite an impressive design. Players who have never played at an exclusive Scratch Card site may have some apprehensions but once you’ve browsed the pages there is instant gratification. Established in 2011, Gratorama has a vision of introducing players to a brand new exclusive entertainment that is filled with alternative excitement. The site is secure and safe and has all the essential programs to protect you sensitive data including encryption and firewall. Gratorama is fully licensed in Cyprus. NetoPlay software powers this site with a dedicated team whose primary focus is Scratch Cards. Developing an extravagant portfolio of exceptional themes that completely immerse the player is the work of expert developers. 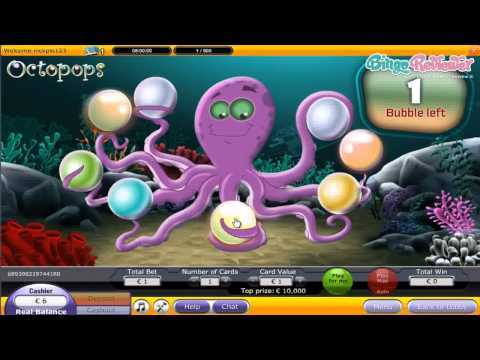 The bingo client requires no download and can be played in your browser through Instant Play. Practice play is available to try out all that is offered before wagering with real cash. There is potential to win serious cash with up to £200,000 Jackpot tickets and every third card is a winner. Besides Scratch Cards, Gratorama offers a range of Slots and Roulette variations. Confident you love their products Gratorama is gifting all players with a Free Bonus. Check out the gaming suite with no risk to your bankroll and play gratis on the house. More cash is headed your way when playing in your real money account. A bonus on your first deposit raises your chances of winning. Use an alternative banking method and get another Bonus on top of that for an even bigger bankroll. Everybody loves surprises especially when they are random Bonuses offered several times a week at any time you are active and playing. The GatorClub rolls out the red carpet for loyal players with a lucrative package of rewards. Scratch Cards are very popular and dedicating a site exclusively like Gratorama has allows players a wide playing field of options. The VIP Club offers generous rewards and incentives including Tournaments, Raffles and Comp Points. We rate Gratorama with 5 Pink Hearts. This is definitely your site if you’re into scratch cards. I’m not super big on them but I decided I’d give this site a try. They actually have a ton of interesting and exciting themes to choose from and I gained a new appreciation for scratch cards by playing at Gratorama. As a unique addition to the site, several times a week, random players will be selected to receive a random Gratorama Surprise Bonus, which is one of my favorite things to look forward to at the site. But, you have to be attentive at all times because it could very well happen to you at any time you play with real money. Obviously, the more often you play, the better your chances of winning. Another thing I like is that as soon as you join, you’re automatically granted the opportunity to earn complimentary points. They can be collected from the very first game you play and they can be redeemed at different rates based on your VIP club level. Overall, you should definitely give them a try! Ok, I admit that I usually search for Bingo sites, but from time to time I do wish to make a little break, and that was the main reason that I registered an account in this casino, obviously a place for Scratch cards. Don't worry if you like play something else, this guys have a good choice of good old casino games, only no bingo. I always loved to play scratch cards, since you don't need any strategy or anything else, just scratch and wait for the win. They do advertise that every third card wins, but in my experience, it was more like every 10th or so. Never the less, it is a great place for instant fun, and it will stay bookmarked.